If you’re planning a trip to an elephant sanctuary, Cambodia can be a tough place to navigate. Which sanctuaries are legit? Which are just in it for the money? 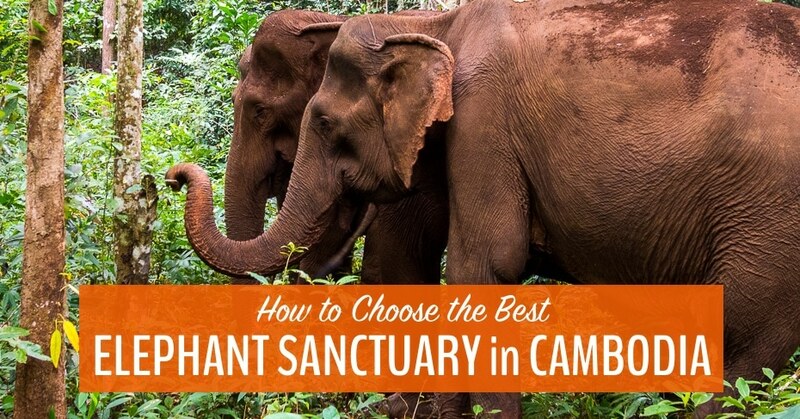 Use our guide to decide which is the best elephant sanctuary in Cambodia. What’s in our Guide to Choosing the Best Elephant Sanctuary in Cambodia? 1. Let’s Start with the Good News First? 10. Get Your Free Cambodia Don’t-Miss List! Mondulkiri Cambodia, in the wild northeast, is home to most of the elephants in Cambodia. For centuries, the local Bunong people have used elephants as workers, to help with transporting heavy goods, farming, and logging. In recent years, motorized vehicles and technology have made working elephants almost obsolete. There is a huge selection of elephant “rescue” projects in Mondulkiri, Cambodia. Now, elephants are more likely to be used as tourist attractions. In Mondulkiri, near the town of Sen Monorom, the number of elephant sanctuaries and projects that have opened in the past decade is almost dizzying. But I did my best to sort through them and help you choose one where the elephants are treated well and looked after. Before you read on, get the free Cambodia Don’t-Miss List. This is a hand-picked bucket list of our 12 favourite Cambodia experiences, guaranteed to make your trip extra special. Not all sanctuaries are equal. Unfortunately, it can be really tough for tourists to figure out which ones put elephant welfare before profit. When I started my research on the various projects and elephant sanctuaries in Cambodia, I was completely befuddled. There are so many options and their websites say all the right things. TripAdvisor reviews were no help either, since most tourists don’t know what to look for when it comes to elephant welfare. I soon realized I was not going to be able to discover the truth online, so I decided to head to Mondulkiri and find out exactly what’s happening to elephants in Cambodia. Discovering the truth was harder than I thought it would be! Elephant welfare is a hugely complicated issue. There are very few black and white answers. In Mondulkiri, Cambodia, things are made more difficult by the fierce competition between the humans who run the various elephant projects. There are so many rumours, innuendoes, and outright lies flying around that it’s hard to know who to believe. After all my research (which I detail below), I found some great news. At Elephant Valley Project, the elephants feed themselves as you follow them through the forest. The good news for elephants in northern Cambodia is that, as far as I could discover, none of the elephant projects in Sen Monorom is actively harming or abusing elephants. In fact, the various projects all seem to be doing their best to protect elephants and earn money to help support the local community. The truth is, all 3 sanctuaries & organizations are doing a great job supporting their elephants & communities. Jemma from Elephant Valley Project told me basically the same thing. Money coming in from Mondulkiri’s elephant projects is used to care for and feed elephants, and also to support members of the local communities. In addition, the various elephant projects have also been steadily improving through the years, in response to pressure from animal welfare organisations and tourists like you! When you choose to visit an elephant sanctuary — anywhere in the world — you have to take the good with the bad. Elephants are expensive, so sanctuaries need to raise a lot of money to care for them. No sanctuary elephant gets to live like a wild elephant. Most of the elephants in Mondulkiri are chained up at night, or held in bamboo night pens. This is to prevent them from wandering into neighbouring fruit orchards and other private property, getting lost in the jungle, or wandering out into the road. All of the elephants are handled by mahouts so that tourists can visit them. They are brought to certain locations each day for viewing and in some cases, feeding and washing. Making the elephants available for viewing by tourists is the best way to raise money to care for the elephants. Sanctuary elephants will never get to experience life like wild elephants. This is not the fault of the sanctuaries but the fault of the people who captured them in the first place. Because of this, it’s crucial to not only support elephant sanctuaries, but also to help elephants in the wild, by supporting organizations who work to reduce habitat loss and stop poaching. What Elephant Projects and Sanctuaries are Available in Mondulkiri Cambodia? When you visit a sanctuary or project in Mondulkiri, you are seeing elephants that used to live and work in the community. Unfortunately, not all sanctuaries are created equally. What are the options for sanctuaries in Mondulkiri? See, even the names are confusing! All the projects have fancy websites saying all the right things. All of them claim to put elephants before profits. As far as I can tell, this is true. Is anybody getting rich off of running an elephant sanctuary in Cambodia? It’s very unlikely! How do the Mondulkiri elephant sanctuaries work? Trying to untangle the information is not easy! But here are the conclusions I drew about the various sanctuaries. As the oldest Elephant Sanctuary in the region, the Elephant Valley Project has been instrumental in helping change how elephants are treated in Mondulkiri. The other projects in the area, whether legit or fake, have seen the success of the EVP and attempt to emulate it. They have 10 elephants living on 1500 hectares of land, which is very large compared to other similar projects in the area. The project was the first in the area and was created to rescue elephants, period. Elephant Valley Project is changing the way elephants are treated in sanctuaries. They’ve taken the model of places like Elephant Nature Park in Thailand and improved upon it. Their elephants are never handled by day tourists and only occasionally by volunteers — they are not fed, bathed, or cuddled by strangers, allowing them to act in a more natural way. Here’s how you see elephants if you visit the Elephant Valley Project. Unlike most of the other elelphant projects, EVP elephants have full-time onsite veterinary care. The ELIE project, run by the Elephant Valley Project, has a Mobile Elephant Vet Unit which visits all elephants in Mondulkiri on rotation. They are also available to care for any elephant in an emergency situation. The sanctuary is closed on weekends to allow the elephants and the staff to rest. The EVP brings in foreign experts to work at the sanctuary because they say there aren’t enough trained experts in Cambodia. The project employs 48 local staff plus supports the larger community by renting their land. EVP has recently opened a new sanctuary in Thailand. I was told this by another sanctuary, as if it was a bad thing! In Thailand, there are more elephants to rescue than in Cambodia, so I support anything that will help them. The people at EVP were very supportive of the other projects in town, telling me that their work is, on the whole, benefitting elephants in the community. There was no sense of competition or negativity towards the other projects. The main drawback, if you’re a budget traveller, is that the EVP is the most expensive sanctuary to visit. Jemma from Elephant Valley Project told me that for travellers who can’t afford it, she recommends visiting a community elephant project. These visits tend to be much cheaper than any of the sanctuary visits. If you choose to do this and there are aspects of the community-based tour that don’t seem right to you, make sure to tell your guide. Your feedback can change the way elephants are treated. But if you can afford it, I recommend the EVP without hesitation! Visiting the Elephant Valley Project you can be sure that your money is going towards caring for the captive elephant population in Mondulkiri as well as helping maintain wild elephant habitats. Full disclosure: I received a discount on my ticket to the Elephant Valley Project with the understanding that I would write about elephant welfare in Cambodia. As you know, I would NEVER recommend an animal attraction I didn’t 100% believe in! Just last week, about a year after I first wrote this post, I finally got a response to my email to Mondulkiri Elephant & Wildlife Sanctuary. The sanctuary does not own its 5 elephants, but rather, has them on full-time rental from the owners in the community. They prefer to do this because they want to keep the original owners involved. The 5 elephants live on 50 hectares of land (15x less per elephant than at the Elephant Valley Project). They employ 2 mahouts (elephant handlers) and, according to a rep from the sanctuary, use bamboo pens for the elephants at night, rather than chains. There is no onsite vet but a vet regularly visits their elephants. The project supports almost 100 local people, including the elephant owners and direct employees. Visitors are allowed to approach, feed, and bathe the elephants. There’s no reason tourists need to interact with elephants in this way (except to get a selfie). I don’t support using wildlife for entertainment and this crosses a line for me. Some sanctuaries claim that this kind of activity doesn’t stress the elephants and there is no harm in it. However, many elephant sanctuaries are phasing out this kind of activity. If you decide not to visit because of this, please email Mondulkiri Elephant & Wildlife Sanctuary and let them know why you are not visiting their project. Since I first wrote this post, Mondulkiri Project have been quite active in contacting me with further information about their project. I also got a long email from Rachel, a traveller who visited recently and shared her experience with me. Thanks Rachel! They are owned by a local and do not employ Westerners or allow Western volunteers at the sanctuary. They have 5 elephants, 3 which they own, and 2 that are rented on a long-term basis from local owners. Their elephants live on 100 hectares of land, 7.5 times less than at the Elephant Valley Project. A vet comes from Phnom Penh every six months to visit the elephants. Though they used to mention a future elephant breeding program on their website, I can no longer find it. I’ve also heard from the sanctuary that they have decided not to breed elephants at the site. However, Rachel was told during her visit that they do plan to breed in the future. Of course, I do not support elephants being born into captivity! The reason I didn’t choose to visit Mondulkiri Project and don’t recommend it is simple. Tourists are allowed to approach, feed, and bathe the elephants. Again, I don’t see the need for this, except to provide tourists with entertainment. As a responsible traveller, I don’t support feeding and bathing elephants any more than I support elephant rides or elephant shows. These activities do not benefit the elephants in any way, may be stressful for them, and only serve to entertain tourists. If you decide not to visit because of this, please email Mondulkiri Project and let them know why you are not visiting their project. It’s best to keep your distance from any elephant, for your safety and the elephant’s sanity. You’ll see these projects advertised at most guesthouses and hotels in Sen Monorom. If you are offered a local village tour alongside your elephant experience, you know you’re dealing with a community elephant project. To understand the community elephant projects in Mondulkiri, you have to know a little about how elephants have historically been used in Cambodia. Before the era of good roads, scooters, trucks, and other machinery, elephants were used for manual labour like logging and transporting goods. But elephants are hard to come by and expensive to own, so a single elephant was shared between and owned by many families and several villages in the area. Now that elephants have been supplanted by machines, elephants are rarely used for manual labor in Cambodia. That’s great for elephants but it leaves their owners with a problem. Elephants can live for 60 years or more and they are enormously expensive to care for. If elephants are not earning money, owners can’t afford to care for them. When owners realized that tourists would pay money to view, ride, and bathe their elephants, a new income stream opened up. Elephant tourism allows them to feed and pay for their elephants’ upkeep, while also supporting the members of the community. Unfortunately, since there is a limited elephant population in Mondulkiri (only 43 captive elephants), this realization has also led to fierce competition, with everyone trying to grab a slice of the lucrative elephant tourism trade. How do the community elephant projects work? The community projects sound good, right? Doesn’t it make sense to give your money directly to the people who own the elephants? Cut out the middle man and you will show the owners you support the welfare of their elephants. Unfortunately, that’s not quite how things work. When you book a tour through your guesthouse or hotel in Sen Monorom, they arrange to rent a couple of elephants from the community for the day. The mahout (elephant handler) brings the elephant to the arranged place and you get to feed, bathe, and sometimes ride the elephant in what seems to be their natural environment. Elephant rental is a flat-rate gig. So whether the tour operator brings two tourists or 20, the elephant owners still get the same small fee, and the rest goes into the tour operators’ pockets. This can lead to overcrowded tours, where a couple of elephants are surrounded by too many tourists all trying to snap selfies. This situation can be stressful for the elephants and dangerous for people. It also means that most of the money doesn’t go to the elephant owner — and therefore is not directly helping the elephant. We bathed elephants a few years ago at Thailand’s Elephant Nature Park. We wouldn’t do it again. How are the community elephants treated? They are not treated as wild animals. Instead, they are treated more like cows or horses would be — as domestic servants, even though they are not domesticated animals. Elephants are chained at night and almost certainly chained during the day when not entertaining tourists. Depending on the community, elephants may not receive enough food, and they get little or no chance to wander through the jungle foraging for their own food as they would in nature. There is limited access to veterinary care. Most of the community tours allow tourists to bathe the elephants. This can lead to too much time in the water for the elephants and undue stress of being surrounded by different tourists each day. Many projects still allow tourists to climb on the elephants in the water. This is stressful for the elephants and can be dangerous. Elephants are not jungle gyms! Should you visit a community elephant project in Mondulkiri? The answer to this question is complicated — elephant welfare is a hugely complicated issue. Community projects are the cheapest elephant attractions in Mondulkiri, so if you’re on a very tight budget they might be your best option. If you do decide to visit, refuse to bathe or ride the elephants — and make sure to tell your guide that you don’t support it. If enough tourists express their distaste for these activities, then they will be phased out completely. Keep in mind that while a lot of the money from these community tours goes into the pocket of the tour organizer, some does stay with the elephant and the local Bunong people. Your money also helps the communities care for their elephants, so visiting the projects helps these elephants get proper care. If this source of income dries up, the community owners may sell or rent their elephants to the local sanctuaries. But, they might sell their elephants to the harmful elephant riding camps in Siem Reap instead. Elephant selfies should be done from a safe distance. I can’t make your travel decisions for you. It’s up to you to be a responsible tourist and make sure your travel activities benefit the communities you visit. So whichever elephant sanctuary in Cambodia you choose to visit, please follow these guidelines for elephant welfare. Never ride an elephant. Elephants are not domestic animals and it’s not OK to use them for your entertainment. Don’t swim with elephants or bathe them. Though elephants need to bathe to prevent skin infections they should only be bathed by their mahouts, who have a close trusting relationship with them. Tourists crowding around an elephant in the water causes stress for the elephants, keeps them in the water longer than necessary, and put the tourists in danger. No flash. Aside from spooking the elephants, flash can also damage their sensitive eyes. Avoid feeding elephants. If you’re going to feed elephants, make sure there is a barrier between you and the elephant. Elephants can get frustrated if you feed them incorrectly which is a dangerous situation for you. Where is your money going? This can be hard to discover since no sanctuary is going to reveal if their profits go to personal gain, but ask the question anyway. If you think the answer is questionable, walk away. Be responsible with selfies. Of course, you’re going to want your photo with an elephant! Be sure to keep your distance (around 5m) and don’t shove your camera in their face. Keep your distance. Allow the elephant to relax by not crowding around it and not invading its personal space. You don’t need to pat the elephant or whisper in its ear to have a great day observing elephants. Heed the mahout. Mahouts can tell when their elephant is feeling stressed out and when it’s relaxed. Listen to the mahout and do what he says. I spoke to three separate tour providers in town and questioned them about the various elephant options. They were all representatives of various community projects, so that’s where their bias lay. However, it was nice to find that there was very little bad-mouthing of the other projects. Most people focussed on the benefits of their tours. 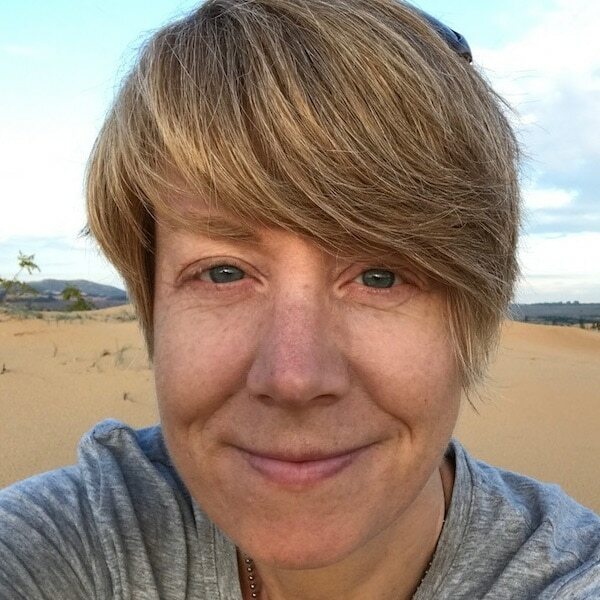 I had a long in-person interview with Jemma, the Program Manager for Elephant Valley Project. We followed-up by email. Mondulkiri Project answered a list of questions I sent them by email. Mondulkiri Elephant & Wildlife Sanctuary answered a list of questions I sent them by email. I visited Elephant Valley Project for a full-day tour. They offered me a discount for my tour, not to write about their project, but to write about elephant welfare. I really liked my stay at Nature Lodge, which has (very) rustic cabins in the countryside a couple of kilometres out of town. Indigenous People Lodge is a good alternative to Nature Lodge but a little closer to town. If you don’t want horses under your house at night or to share your bathroom with a giant spider (like I did), stay in the city at Avocado Guesthouse. If you want to take your Cambodia trip to the next adventure, we highly recommend this Cambodia Hike, Bike, & Kayak Adventure with Intrepid. 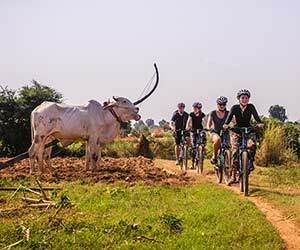 You’ll get to see some seriously out-of-the-way places plus you’ll cycle Angkor Wat, too! Getting out on a bike in Cambodia is the single best thing you can do (after seeing the elephants, of course). Grasshopper offers tons of one-day and multi-day bike tours all around the country. We like this Peddles & Paddles one-day tour around Siem Reap, or this two-day Angkor & The Villages tour. Get Your Free Cambodia Don’t-Miss List! Learn All Our Cambodia Secrets! Don’t forget your free Cambodia Don’t-Miss List. This is a hand-picked bucket list of our 12 favourite Cambodia experiences, guaranteed to make your trip extra special. I hope this post helps you decide to visit a Cambodia elephant sanctuary that is doing good work and helping elephants in Cambodia, not exploiting them. If you have any questions, feel free to ask in the comments below so we can share our answers with everyone. I received a discount from Elephant Valley Project so I could visit and research this post. As always, I only participate in and recommend tours that I think you’ll truly enjoy! Thanks so much for your research! We are headed to Senmonorom tomorrow. This really helps. Thank you for writing this article, we all need to get the word out about touching and bathing elephants also. So happy you wrote about this. Thanks for the kind comment. This issue is so complicated it’s a really hard one to write about. I tried to be fair to all of the elephant operations in the area – but even so I heard from a couple of them about how unfair I was being! For me, it is pretty clear cut that I will not ever again participate in elephant bathing or feeding (unless I open my own sanctuary!). I was shocked to discover in Bali that the “sanctuaries” there still allow elephant riding and make the elephants perform tricks all the while claiming that it is necessary for the good of the elephants. 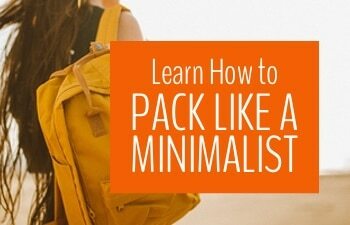 Pingback: 11 Things to do in Kampot, Cambodia for Mindful Adventurers | My Five Acres. Travel. Adventure. Yoga. 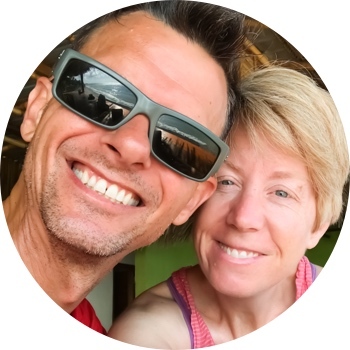 Pingback: Cambodia Adventure: How to Get the Most from Your Travels in Cambodia | My Five Acres. Travel. Adventure. Yoga. Pingback: Trekking in Cambodia – Everything You Need to Know Before You Go | My Five Acres. Travel. Adventure. Yoga.